Add a pinch of salt, sugar, and ghee to roasted rice flour and mix well. Add water and create a dosa consistency batter. Smear on banana leaves and roll. Tie with string and steam for 5-6 minutes. Once steamed, remove, cool and unroll. Cut into pieces and use as required. If using later, place in water. Ela Adais authentic of South Indian Recipe. 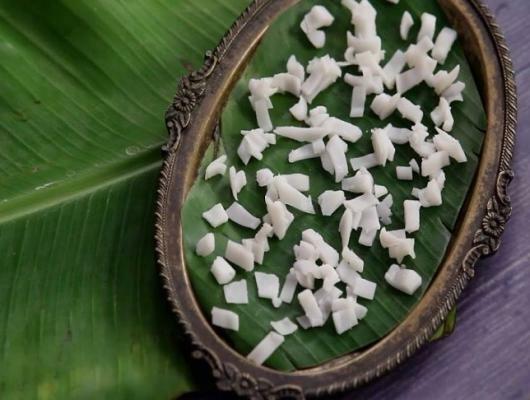 It is baked in banana leaf and has a delicious and tasty flavour. It’s a Perfect Homemade Ada recipe to make. Ela Ada is a very popular traditional Dish of South India. It can be enjoyed as Snack and can be consumed in Breakfast as well as in Brunch also. How to make Ela Ada? Just follow the step and instruction. 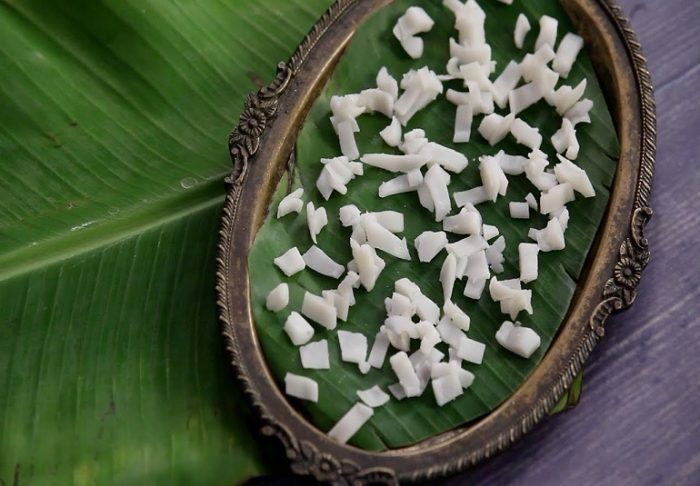 The Ingredients which are used in to make Delicious Ela Ada is with whole rice flour, sugar, salt, water and Banana leaves.